Sweet Twist of Blogging: A busy baking weekend part 1 - Apples Again! A busy baking weekend part 1 - Apples Again! So I signed myself up for quite a lot of baking last weekend. 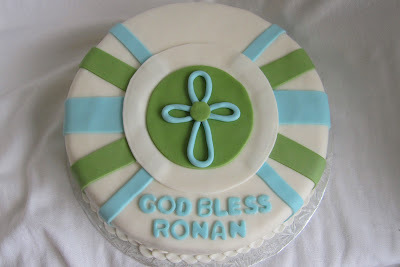 On the list is a baptism cake, an apple cake for a pot luck dinner and some Halloween cake pops for work. The first line of business was the baptism cake as that had to be completed for someone other than me. It turned out quite nice in the end, simple and sweet. After the cake was complete I started the apple cake. I found the recipe on cooking light and thought it sounded quite yummy. 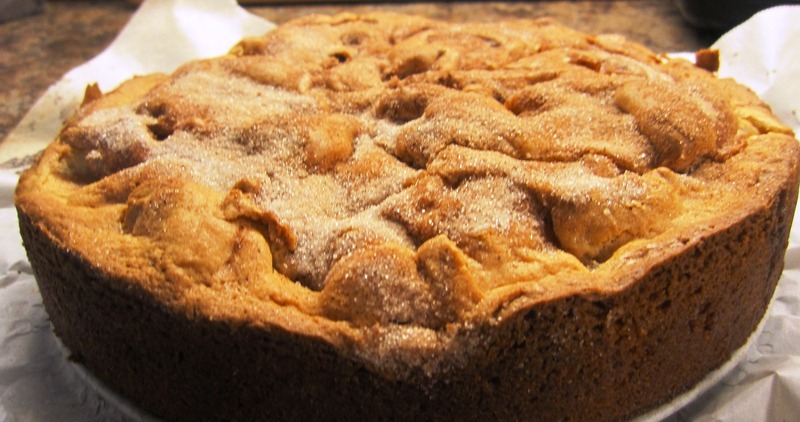 Chunks of apples are baked in with the batter and everything just bakes together and puffs up golden brown. I used Jonagold apples as they seem to be my new favorite apple, very close to Mutsu, big and a little sweet. A Jonagold note care of Orange Pippin : The colouring is yellow of Golden Delicious, with large flushes of red. This is a crisp apple to bite into, with gleaming white flesh. The flavour is sweet but with a lot of balancing acidity - a very pleasant apple. Recipe: Adapted from Cooking light. 3/4 cup (6 ounces) block-style fat-free cream cheese, softened - I only used light cream cheese. 1) Peel and Chop the apples. 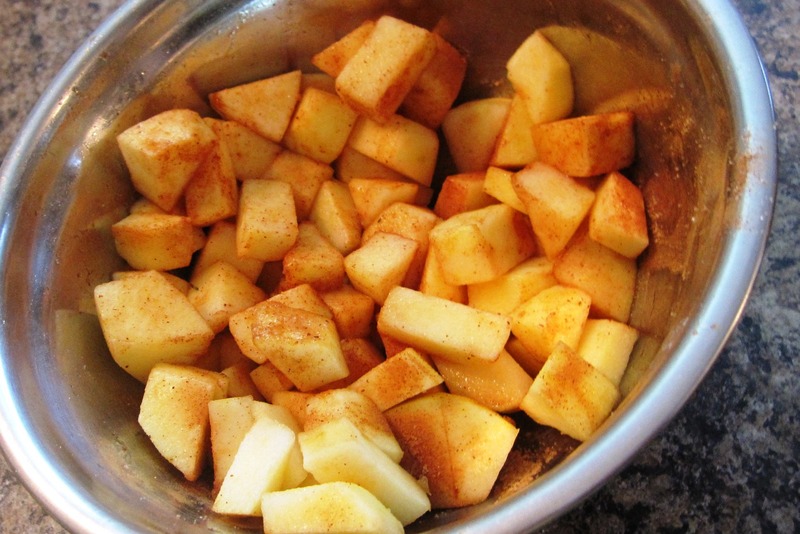 2) Mix together 1/4 cup of white sugar with the cinnamon and sprinkle 2 tablespoons in the the apples and mix together. Save the rest of the cinnamon sugar mixture for the top of the cake before baking. 3) Beat together the remaining sugar, cream cheese, butter and vanilla on medium speed until well blended. Add eggs one at a time and set aside. 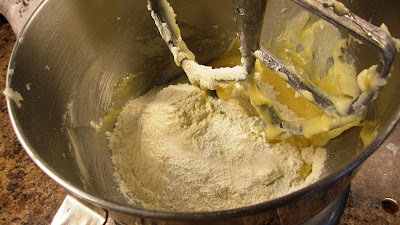 4) Mix together the dry ingredients and add to creamed mixture on low speed. Stir in apples and skor bits into the batter until just mixed. Pour into a 8" spring form pan, sprinkle with the sugar mixture and bake @ 350. The recipe said 1 hour 15 min or until it pulls away from the sides, I found it was all good by about 50 min but it may depend on your oven.